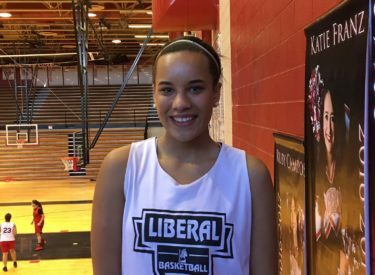 Liberal freshman basketball player Machia Mullens is Mead Lumber Athlete of the Week. Mullens averages 11 points and six rebounds per game for the 7-1 Lady Redskins. Mullens also was a starter on the LHS volleyball team and will compete in track and field this spring. She is also a member of the LHS choir. She and the Lady Redskins play Dodge City Friday night at 6 with Redskin Pre-game at 5:45 on 1270 and kscbnews.net.